We are pleased to announce that Anant Dubey of Presidium Gurgaon secured a certificate of high distinction in The Australian National Chemistry Quiz and came 1st in school in International GK Olympiad. 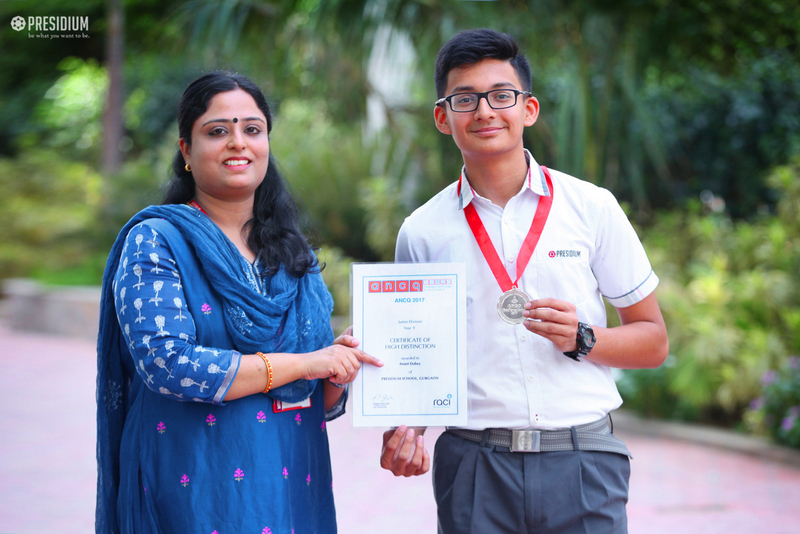 He gave a marvellous performance in The Australian National Chemistry Quiz which is a unique chemical education activity that drives the secondary school students towards the relevance of chemistry in an exciting and stimulating way. A hearty congratulations to Anant, you make our school proud!